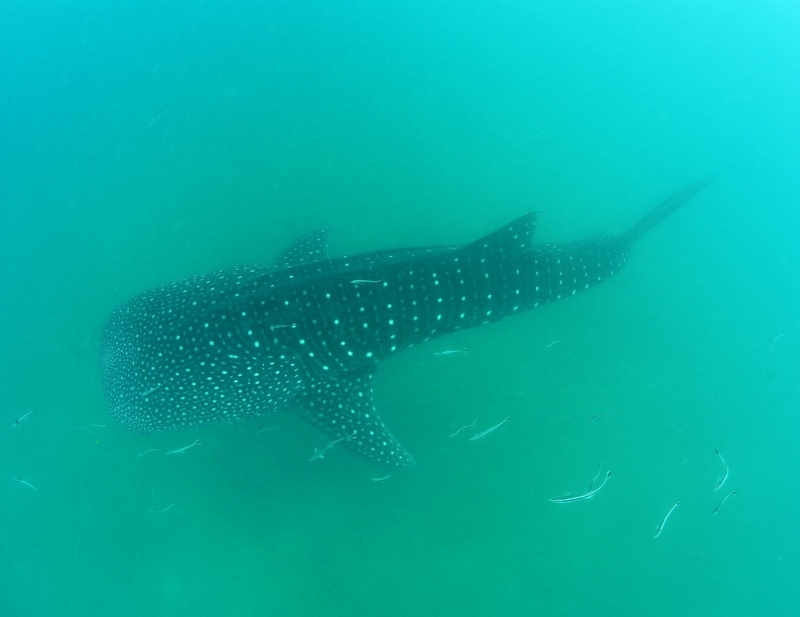 The monitoring boat found two whale shark on today. But they go down very quikly when people jump to water. And they swam very fast, hard to follow to him.